A place of great mountains and red rock canyons and sweeping deserts and deep red sunsets. Not an easy path to statehood at all. There’s a great piece in the online Albuquerque Journal that tells the story: “New Mexico’s path to statehood often faltered.”3 For anybody interested in New Mexico history, it’s a great read. For The Legal Genealogist‘s purposes, however, the key result of the many political skirmishes that led to the long delay of statehood for New Mexico is this bit of legal history: the first actual codified version of New Mexico state laws wasn’t published until well into the 20th century. But the key word in the description of all those compilations is this: territorial. 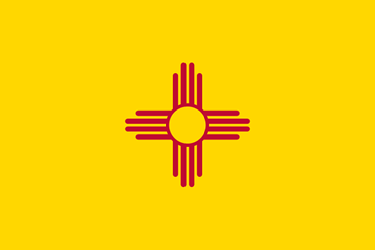 All were enacted before New Mexico became a state. The 1915 codification was the first set of state laws. So what kind of things do we find in those first state laws? And, perhaps the most important laws to a genealogist, the laws requiring records. Sometimes as citizens we get annoyed when there are too many laws. But as genealogists we can all be oh so grateful for laws like these, in early New Mexico. As always, your articles are informative and interesting. I do have a question about your statement that the laws relating to licensed Indian traders were unique to New Mexico. Was New Mexico the only state to license Indian traders? Did you exclude those laws in the colonies that regulated Indian traders because the colonies were not yet states? No, New Mexico wasn’t the only place that had such laws. There were even Indian traders in the old colonial states. It is, as always, a matter of finding the law at the time and in the place.